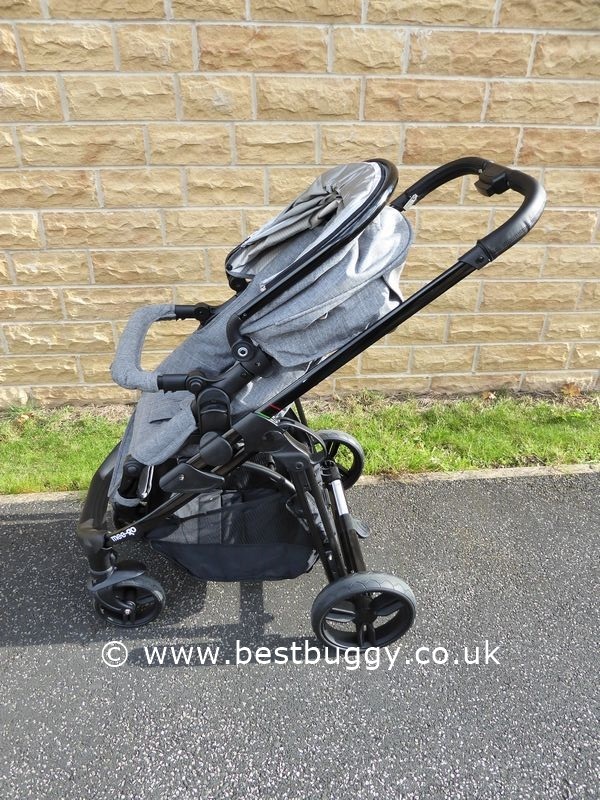 The stylish Mee-Go Glide is an excellent, extremely practical pushchair. 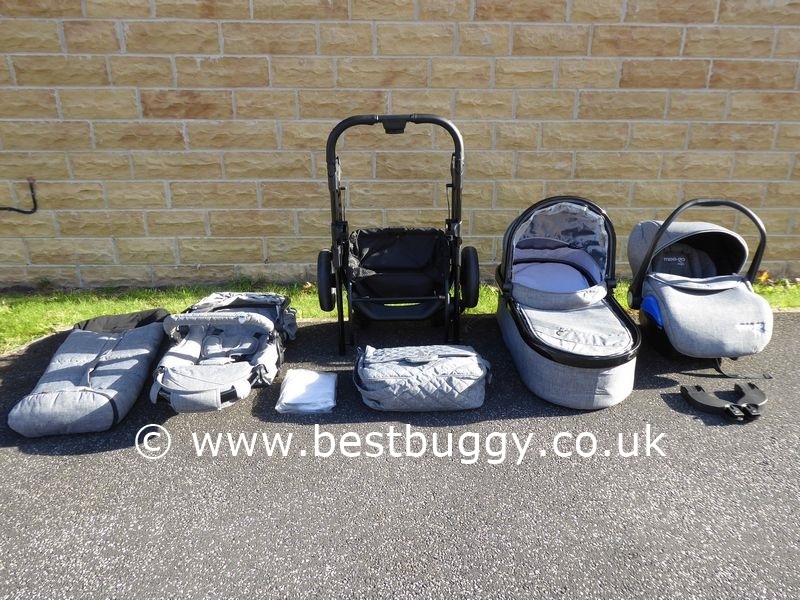 The Glide comes as a complete travel system package with the pushchair, carrycot, car seat, changing bag, raincover, car seat adaptors and a footmuff ALL included in the very reasonable price. 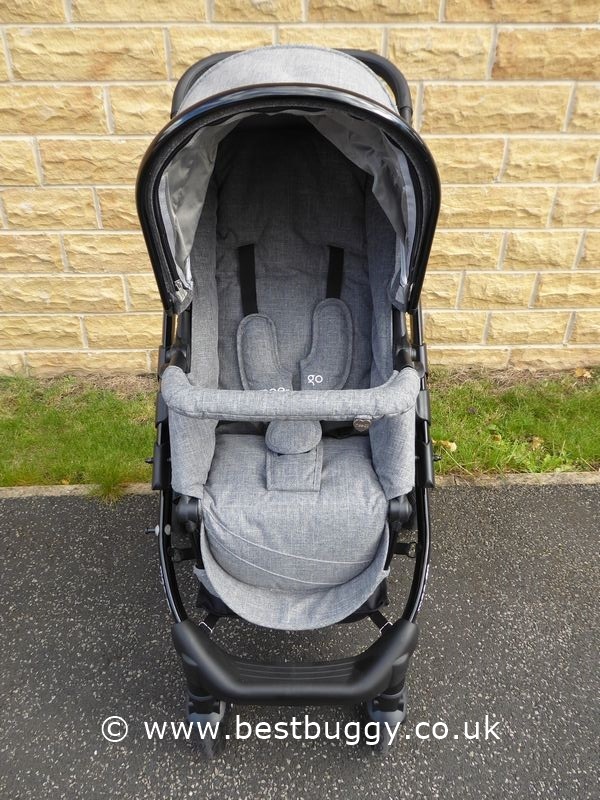 The pushchair seat is reversible and features a removable bumper bar and extending UV hood. 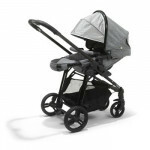 The leatherette handlebar; gloss black chassis; and quality textured woven fabrics finish the Glide off beautifully. 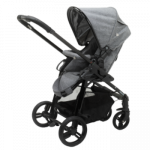 The Glide has one of the quickest and easiest folds we have ever tried; and the freestanding fold makes this stroller easy to store. All in one package - everything you need and more! 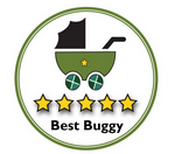 Pushchair, carrycot, car seat, footmuff, raincovers, changing bag, car seat adaptors. Lightweight chassis. Simple and quick to fold and unfold. 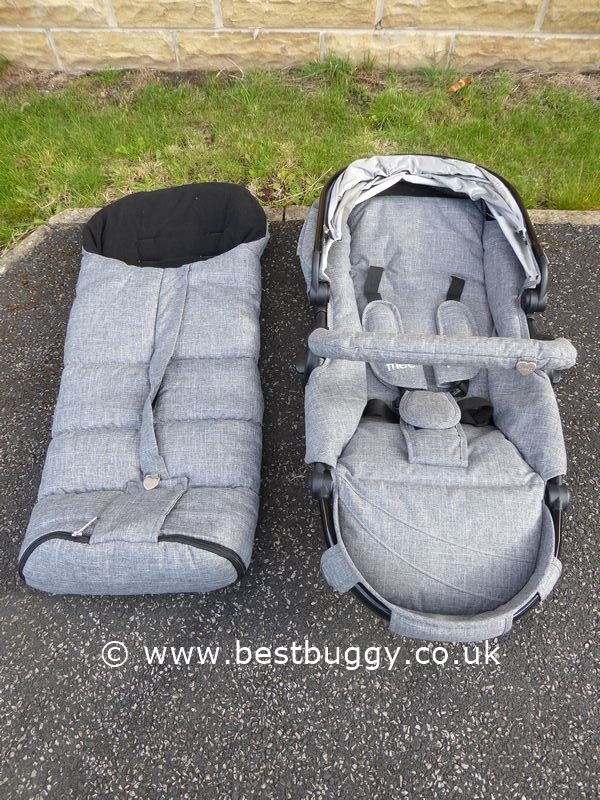 Carrycot for use from birth complete with mattress and padded liner - can be removed from chassis with one hand. 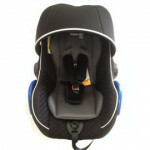 Reversible seat unit. Fold with the seat on in the forward facing position. All round suspension. 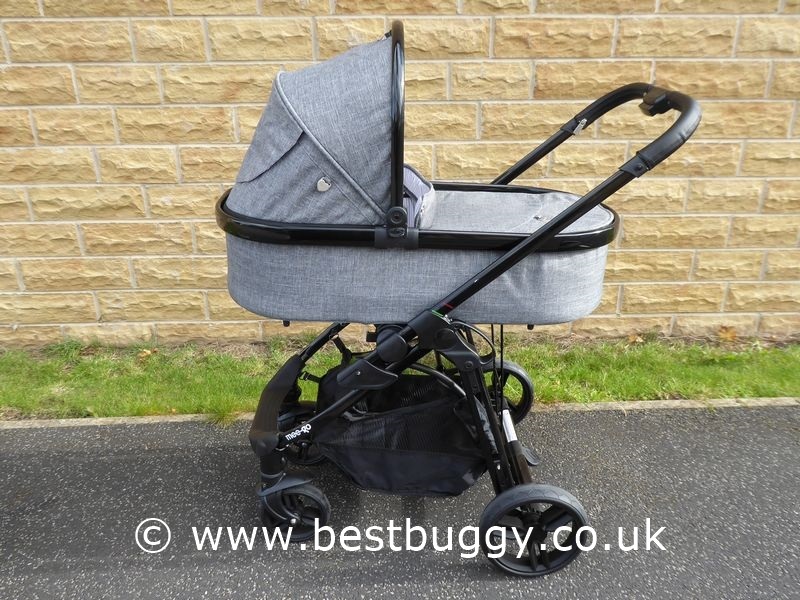 Huge 25kg weight capacity. Mee-Go car seat and apron is included. 4 PU non puncture tyres. Large rear wheels. 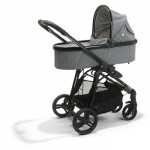 Smaller lockable / swivel front wheels. 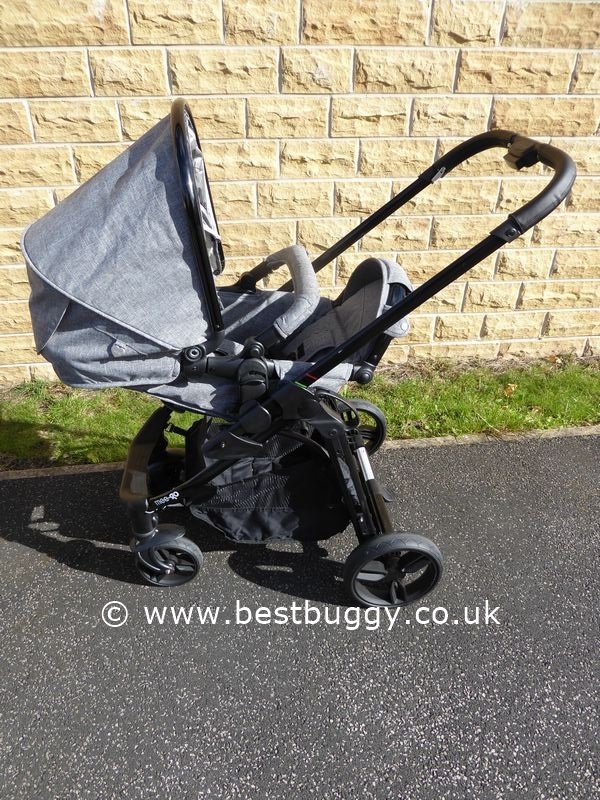 Includes - chassis, pushchair seat, carrycot. 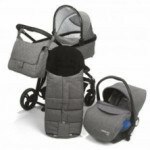 pushchair footmuff, car seat, car seat apron, raincover, changing bag and car seat adaptors.